Hello Kitty and her woodland friends are on a fall hike, collecting acorns, prickly pine cones and more autumn treasures for Hello Kitty’s art project. But a little squirrel is out collecting acorns too. Oops! They accidentally take his winter food supply! 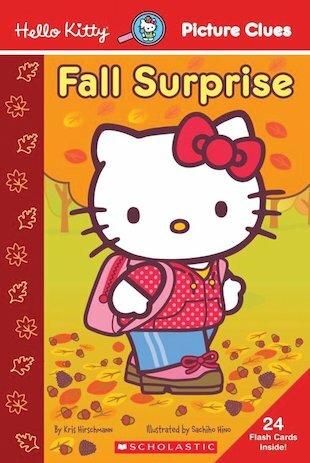 Hello Kitty and her friends immediately give the acorns back to the squirrel, and find many more for him to enjoy. Picture clues throughout the text help young readers to follow this lovely autumn story, which also includes flashcards of essential sight-words.